0 Comments Published by KL Ocs Kid on at 10:19 AM. Liverpool owners George Gillett and Tom Hicks say talks with Rafa Benitez regarding squad improvement will take place in December. Benitez invested heavily in his Anfield squad during the summer in a bid to turn the Reds into serious Premier League title contenders. But there have been reports that the Liverpool boss is unhappy with the delay in finalising a permanent deal for on-loan midfielder Javier Mascherano. Gillett and Hicks have now released a statement in an attempt to put the focus on the club's upcoming fixtures, starting with the weekend's game against Newcastle United. "We made a significant investment in the playing squad during the summer and desperately want this team to succeed," read the co-chairmen's statement on the club's official website. Benitez spent a club record fee to bring Fernando Torres to Liverpool in the summer, and also splashed out on Yossi Benayoun and Ryan Babel. 0 Comments Published by KL Ocs Kid on at 10:16 AM. RAFA Benitez today sensationally refused to commit his future to Liverpool. In an extraordinary Melwood press conference the Reds boss even allowed himself to be linked with the England manager's job, which was vacated earlier today by Steve McClaren. The usually affable Benitez was clearly in a bad mood and chose his words carefully throughout the ten minute long press conference. On several occasions he was asked the kind of questions which he usually answers without even thinking but instead of doing that he chose to brush them off with the same cryptic answer. When asked about England's performance against Croatia, he responded: "I prefer to concentrate on training and coaching my team." When asked about the threat Newcastle will pose to Liverpool on Saturday, he answered: "I am focusing on coaching and training my team." He delivered the very same answer on at least ten more occasions. One of the few questions Benitez was prepared to answer concerned the national team manager's job. Asked if he would consider taking over from Steve McClaren if the job was offered to him, he said: "You never know what might happen, maybe." Just last week, Benitez appeared to commit himself to a long term future with Liverpool when he talked of emulating the 21 years Sir Alex Ferguson has spent at Old Trafford. But today's comments throw into doubt that previously held ambition and suggest all is far from well at Anfield. The inference which could be taken from the press conference is that Benitez is not happy with the backing, or a perceived lack of it, he is receiving from the club's American owners. The Reds boss gave this theory further credence when he admitted to being frustrated with life at Anfield but he would not expand on what he meant by this. But by refusing to commit his future to the club and allowing himself to be linked with another job it appears he has basically delivered a "Back me or sack me" ultimatum to Tom Hicks and George Gillett. 0 Comments Published by KL Ocs Kid on at 10:11 AM. 0 Comments Published by KL Ocs Kid on at 9:56 AM. Alan Wiley of Staffordshire will take charge our next Premiership match as travel to the North East to face Newcastle United. The 47-year old is one of three policemen refereeing in the top flight and has been walking the beat in The Premiership for seven seasons. He started refereeing back in 1981 through the West Midlands Regional League and became a Football League linesman ten years later. In 1994 he was promoted to run the line in The Premiership. He was then given the whistle in The Football League twelve months later. He has just started to gain European experience and was a fourth official to Graham Poll in a Champions League qualifier last season. This will be his 28th match overall involving Liverpool match as a referee and our record reads 15 wins, 8 losses and 4 draws. He has refereed Liverpool once this season, it was our 6-0 hammering of Derby County back at the start of September. The last time he was at St.James' Park was just under a year ago as the home side defeated Tottenham Hotspur 3-1 with ex-red Danny Murphy on the score sheet for the second and last time for Spurs. Wiley has refereed Newcastle since that game, back in February a first half strike from Scouser Ryan Taylor gave Wigan all points at the JJB Stadium. Also earlier in that season 2 goals from El Hadji Diouf gave Bolton a 2-1 win at Newcastle. In all of those previous matches he has only failed five times to show the yellow card to a Liverpool player or an opponent. 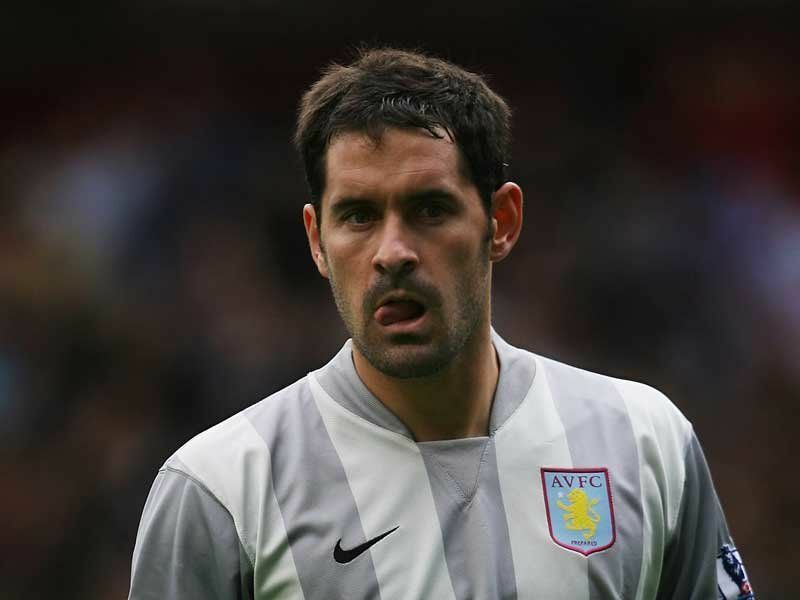 He has also sent-off Steven Gerrard twice and Pepe Reina once, but he has yet to send off an opposition player. He is one of three current referees who have refereed the FA Cup and League Cup Finals, he achieved this two seasons ago by becoming the first referee to do both finals in the same season. He had already refereed Manchester United 4-0 victory over Wigan in the Carling Cup before he got the call to replace Mike Dean as the FA Cup Final between West Ham United and ourselves. His assistants on Saturday are Glenn Turner and Barry Sygmuta, with Howard Webb as the fourth official. Some memorable matches involving Liverpool and Alan Wiley. 11th March 2001 - A trip to Birkenhead in the 6th round of the FA Cup saw us come away 4-2 winners at John Aldridge's Tranmere Rovers. 2nd March 2002 - Nicolas Anelka scores his only Liverpool goal away from Anfield as we triumph 2-0 at Craven Cottage. Jari Litmanen also scored his last Premiership goal for the reds in the game. 11th August 2002 - Arsenal win 1-0 in the newly named Community Shield in Cardiff's Millennium Stadium. Markus Babbel appeared for the first time after recovering from serious illness. 21st January 2003 - We overturn a 2-1 deficit against Sheffield United in the second leg of the Worthington Cup semi-final at Anfield. An extra-time goal from Michael Owen gave us a 2-0 win on the night. 11th May 2003 - Chelsea win 2-1 at Stamford Bridge in the last game of the season to claim the final Champions League spot. Gerrard was sent-off in the final minutes. 9th April 2004 - Arsenal's Thierry Henry grabs a hat-trick as the Gunners win 4-2. 26th October 2004 - Trouble off the field as we defeat Millwall 3-0 in the Carling Cup. 28th November 2004 - Neil Mellor scores a last minute winner against Arsenal. 5th February 2006 - Chelsea win 2-0 at Stamford Bridge. Pepe Reina is sent off as Arjen Robben goes down like he's been hit by a sniper. 15th March 2006 - Robbie Fowler finally gets his first Liverpool goal since his return to Anfield in a 5-1 thrashing of Fulham. 13th May 2006 - One of the best FA Cup Finals ever see us defeat West Ham United on penalties after a pulsating 3-3 draw. 26th August 2006 - Dirk Kuyt makes his Liverpool debut and Daniel Agger scores his first Liverpool goal in a 2-1 home win against West Ham United. 27th November 2006 - Danny Guthrie and Nabil El Zhar make their Premiership debuts as second half substitutes in the 0-0 draw against Portsmouth. 1st September 2007 - Derby County are trounced 6-0 at Anfield with Babel, Benayoun and Voronin all making the Anfield debuts. Babel scores his first Premiership goal and Voronin nets his first at home. 0 Comments Published by KL Ocs Kid on Tuesday, November 13, 2007 at 10:30 PM. 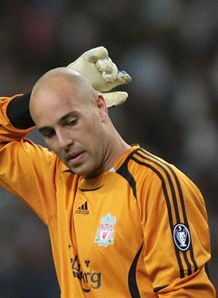 Liverpool goalkeeper Pepe Reina insists the club's main target this season is to win the Premier League. The Reds have tasted UEFA Champions League and FA Cup glory under Rafa Benitez - but the league title has eluded them during the Spaniard's reign at Anfield. 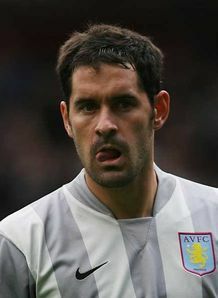 Liverpool have not won the title since 1990 and the Spanish shot-stopper feels it is time they claimed the big prize. "For us our target is to be in the top four first and then to win a trophy, as many as we can but obviously after 18 years our big target is the Premiership," Reina told Sky Sports News. "But knowing big sides are involved like Arsenal, Man U and Chelsea - mainly it is going to be tough and it will be a long race and this is just the beginning." 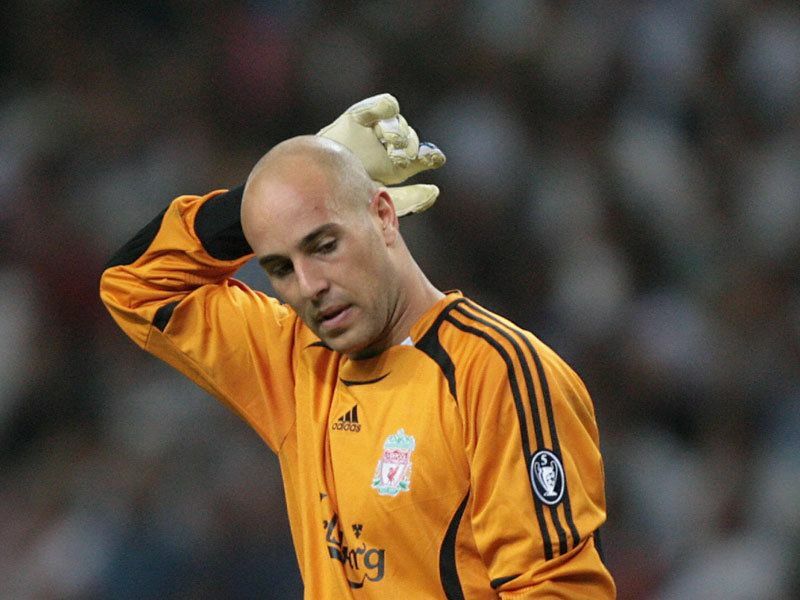 Reina feels Liverpool are well placed to make an assault on the title. "I respect all the opinions, but we are Liverpool and we are a top side and we must show it on the pitch," he continued. "We have to go little by little and step by step but I don't want to talk too soon as we are still at the start of the season almost and for us our target is to win something, FA Cup, Premiership, Champions League whatever. We are a winning side and that is our target." 0 Comments Published by KL Ocs Kid on at 10:26 PM. 0 Comments Published by KL Ocs Kid on Monday, November 12, 2007 at 5:13 PM. Liverpool manager Rafael Benitez has urged Australian officials to exercise caution with winger Harry Kewell who has made just three substitute appearances since his lengthy injury lay-off ahead of the Socceroos' friendly with Nigeria in London. Kewell was rested for the 2-0 Premier League win over Fulham at Anfield, but Benitez said he would be discussing Kewell's role against Nigeria with Football Federation Australia. "Maybe it is good that he will go with the national team but I would like to see the player training with a proper program so we need to talk to the Australian federation to see if we can maintain the progression of the player," Benitez told the Liverpool Echo. 0 Comments Published by KL Ocs Kid on at 5:12 PM. The Good – Jermaine Jenas The Tottenham midfielder was man of the match in the Spurs’ impressive 4-0 win over Wigan Athletic. He was a constant creative threat throughout the match on Sunday, and showed composure in front of goal by scoring twice. Jenas was really up for it and made his first mark after only 13 minutes. After excellent build-up play by Robbie Keane, whose footwork confounded the Wigan defence, the Irishman drove in a low cross and Jenas was first to it, finishing well from close range. On 26 minutes, Berbatov found space for a lovely pass in behind for Jenas, and the English international took the ball in his stride having raced from midfield. He took a touch into the box from the left, drawing out Wigan keeper Chris Kirkland. Jenas then cut sharply to his left and flew by the keeper, before finishing low, just inside the near post. It was a beautiful goal from the 24 year-old, who looked comfortable on the ball from the kick-off. He should have had a first half hat-trick, but he finished into the side netting on one occasion and an effort that beat Kirkland was ruled out for offside. However, Jenas was involved in Tottenham’s fourth goal, 18 minutes from time. He drove toward the box again, forcing the defence to retreat. Then, he spotted a diagonal run by Darren Bent, and he slotted the ball through. Bent took a touch into space before scoring under Kirkland, who had come out to cut off the angle. A comprehensive and entertaining win by Tottenham, whose free flowing and attack-minded football was achieved in no small part by Jenas’ contribution. The Bad – Eddie Lewis The Derby County midfielder scored a freak own goal on Saturday, and his blunder epitomized a forgettable 5-0 defeat at home to West Ham. The visiting side had their way with The Rams, but none of the goals embodied their shortcomings as much as the third, as the thirty-three year-old put the ball into his own net amateurishly. As the corner came in from Solano, Moore got up to head it but only so far as Lucas Neill, who headed it back into the middle. The ball fell kindly to Jonathan Spector, whose low shot was initially blocked by Lewis, standing on the line at the near post. But the ball somehow squirmed through the legs of the American, and he was helpless to keep the ball from slowly rolling over the line. A terrible moment for the veteran, but even worse for Derby, who are looking, on this evidence, to be hopeless at avoiding relegation. The Liverpool forward was rewarded with a penalty kick for a ludicrous dive on Saturday, and the resulting penalty secured all three points for the home side in their 2-0 victory against Fulham at Anfield. After Fernando Torres scored a beautiful goal in the 80th minute, Liverpool looked like scoring a second. Six minutes from time Ryan Babel played a through ball in for Peter Crouch, and while running onto it he went down, falling on the ball. Referee Steve Tanner pointed to the spot, but upon a second viewing it is evident that the lanky English striker tripped over himself, his right leg clattering into the back of his left. Crouch will not want to watch that incident again, but the poor decision led to an assured league win for Liverpool, the first one in three weeks. And whether Crouch dived intentionally or simply tripped, the referee’s mistake turned an embarrassing situation for the 26 year-old into one that the Liverpool faithful won’t be complaining too much about. 0 Comments Published by KL Ocs Kid on at 5:09 PM. Until Fernando Torres unzipped his winter substitutes' jacket with 20 minutes remaining, Liverpool's home record this season appeared destined to read P 6 W 1 D 5, with Fulham's organisation and discipline set to be rewarded with a deserved point. One victory from six home games is not the form of potential champions. Two wins from six is hardly impressive either, but if Torres can avoid further injury setbacks Liverpool will know that they now finally have at least one individual in their attacking ranks who can devastate their opponents in the blink of an eye. Seventy minutes of a plodding Peter Crouch and infuriating Andrei Voronin gave ample evidence of where Liverpool have been going wrong this season. Without the pace and naked goalscoring instinct of Torres, Rafael Benitez's team are achingly predictable and a straightforward proposition for defences to deal with. Torres possesses the X-factor, however. At £26.5 million, that is probably the least to be expected, but the way in which he took his goal nine minutes from time was something only he could produce. Jose Reina's long clearance found Torres 40 yards from the Fulham goal and the Spanish forward chested the ball down and escaped Carlos Bocanegra in one movement before bearing down on the penalty area. With only Aaron Hughes to beat, Torres twisted one way and then the next before fooling both Hughes and goalkeeper Antti Niemi with a clipped left-foot shot into the near corner of the net. Liverpool captain Steven Gerrard said: "That's just the type of player that Fernando is and that's what we signed him for, to change games and win football matches. It looked like it was going to be a stalemate until he came on. I saw the ovation he got when he took his subs' coat off. He's a big star for us, but he works hard for the team. "These are the games and the wins that get you back in the title race, though. A lot of people talk about when the big teams compete head to head, but it's always been a case of beating teams like this. Defeat was harsh on Fulham, whose game plan frustrated Liverpool at one end of the pitch and worried them at the other, with David Healy and Shefki Kuqi keeping Sami Hyypia and Jamie Carragher busy for long periods. But Lawrie Sanchez's team could not hold on for a point and their winless streak away from Craven Cottage in the Premier League now stands at 23 games, a run stretching back to September 2006. Sanchez is convinced that the miserable run will end soon.He said: "We've now come to Liverpool and gone until the last 10 minutes before we conceded the goal, so the days of us going to somewhere like Anfield and getting done like Derby did and Besiktas did, who suffered really heavy defeats, are gone." 0 Comments Published by KL Ocs Kid on at 5:08 PM. 0 Comments Published by KL Ocs Kid on at 5:05 PM. 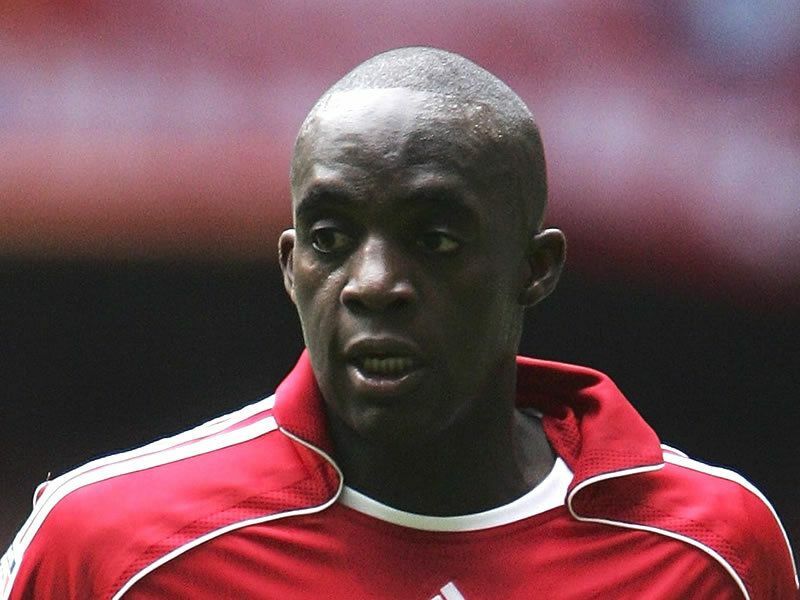 Mohamed Sissoko has revealed his frustration at Rafa Benitez's rotation policy at Liverpool. The Mali born midfielder has started just six games this season after some disappointing performances. He failed to feature again in Liverpool's 2-0 victory over Fulham on Saturday and he admits he finds it difficult to not play a part in the action. "It can be frustrating," Sissoko told the Daily Star Sunday. "I played a lot in my first season and then again at the start of last season before I got injured. "I am more relaxed when I'm in the starting line-up. That's only natural." 0 Comments Published by KL Ocs Kid on at 5:03 PM. 0 Comments Published by KL Ocs Kid on Friday, November 9, 2007 at 3:02 PM. 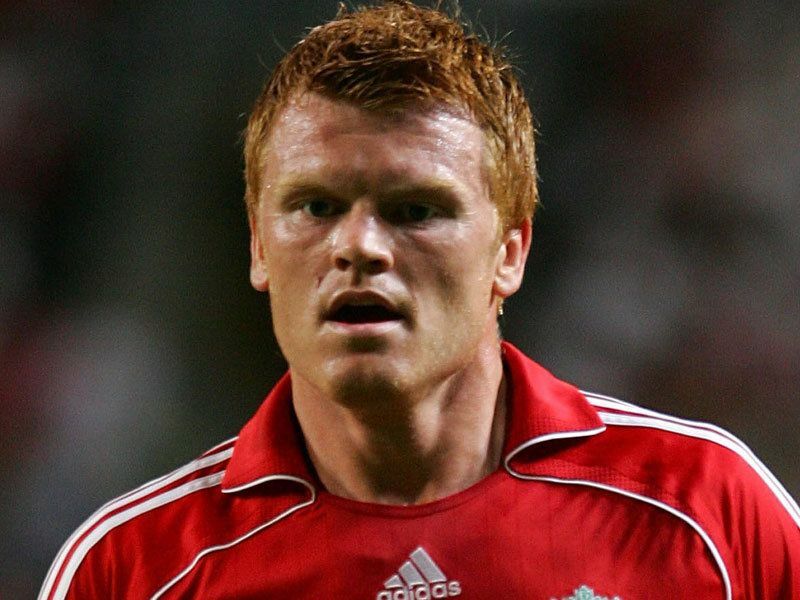 Liverpool left-back John Arne Riise has revealed how the Kop played its part in the famous 8-0 victory over Besiktas in the UEFA Champions League on Tuesday. The Norwegian said the Anfield crowd spurred the players on to continue scoring when victory was already in the bag. The record-breaking performance now sets the Reds up nicely as they seek to win their remaining two group games to squeeze through into the knockout stages of the competition. 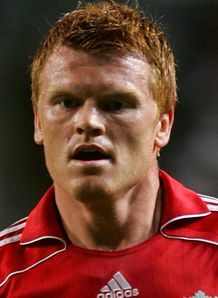 Speaking of the game, Riise told NTB: "I'm very happy with my own effort. "I was tired after a lot of running but the audience gave me a lot of extra energy. "When they were singing we want 10 when we were leading 5-0, it gave us a lot of energy and we really went for 10." Liverpool have struggled in the competition so far but Riise thinks this week's momentous victory could be a turning point. The game saw Yossi Benayoun net a hat-trick, as well as braces from Peter Crouch and Ryan Babel, while skipper Steven Gerrard also got his name on the scoresheet. "Finally we scored on our chances," reflected Riise. "It's fun for Yossi to score a hat-trick." It was an evening of double celebration for Riise as Norwegian team Rosenborg beat Valencia 2-0, with both goals from Steffen Iversen, to give themselves a great chance of qualifying out of Group B.
Riise added: "I will send my congratulations to Steffan Iversen and the boys. "It's a huge achievement and very important for Norwegian football." 0 Comments Published by KL Ocs Kid on at 3:00 PM. Benitez will keep everyone guessing as to whether an 8-0 victory is enough to guarantee the same players a starting place again at the weekend. The media have been clamouring all over our boss wondering whether after a 4 day lay off - the reds will have impressed him enough that he will stick with his starting XI from the Besiktas game as the reds clash with Fulham on Saturday night at Anfield. “I have been surprised because everybody has asked about Benayoun or Babel or Crouch, and I think one of the best players on the pitch was Voronin. “He did not score but he was amazing, passing the ball and controlling the movements. “Hopefully he’ll be available. He was okay yesterday and if we don’t have any problems he’ll be fit. 0 Comments Published by KL Ocs Kid on at 2:59 PM. FABIO AURELIO today called on Liverpool to forget about Besiktas and to focus on this weekend’s clash with Fulham. Though delighted with the way Liverpool demolished the Turkish outfit on Tuesday night, Aurelio says now is not the time to dwell on that game and the Reds must instead concentrate all their efforts on climbing the Premier League table. He said: “Yes, we did play very well against Besiktas and we can take a lot of confidence from that. “But in football the most important game is the next one and for us that means Fulham on Saturday so we must now concentrate on that. 0 Comments Published by KL Ocs Kid on at 2:55 PM. Anfield Saturday, 10 November Kick-off: 1715 GMT BBC coverage: BBC Sport website, BBC Radio Five Live & highlights on Match of the Day. Liverpool run out for Rafael Benitez' 200th game in charge, four days after thrashing Besiktas 8-0 - the biggest win in Champions League history. The Merseysiders put their unbeaten Premier League record on the line, against a Fulham side yet to win away, but one who also enjoyed their biggest win of the season last time out (3-1, home to Reading). This is a match between the draw specialists of the Premier League; six of Liverpool's 11 league games have finished all square, and 50% of Fulham's have also ended level (six of 12). The Cottagers were the last club to beat Liverpool in the Premier League. Fulham are chasing back-to-back Premier League victories for the first time in 46 outings; however defeat would take the Londoners' total of losses in this league to 100. The Craven Cottage club have never won in any competition at Anfield. 1. One of two remaining unbeaten clubs in the Premier League, with Arsenal, and one of six still to be beaten at home in the highest league. 2. Undefeated in 12 league games; won five and drawn seven since losing 1-0, away to Fulham on 5 May. 3. Their Premier League games this season have produced the joint lowest aggregate, with West Ham of 23 goals; 17 for, six against. That's 2.06 goals per game. 4. One of only two teams to have conceded six Premier League goals, at one every 165 minutes (two hours 45 minutes). Manchester United are the other club to have shipped just six, at one every 180 minutes (three hours) on average. 5. An opposition player is still to open the scoring in a Liverpool Premier League match this season, although an own goal from Sami Hyypia did give Everton the lead in the Merseyside derby on 20 October. 6. Not conceded a Premier League goal earlier than the 38th minute, and only shipped two in the first half; fewer than any other club. 7. Recorded three goalless draws in the Premier League this season; more than any other club. 8. Five of Liverpool's 10 league defeats last season followed midweek Champions League ties. 9. Drawn their last four league games against London clubs. 10. Of their five league wins this season, only one has been at Anfield. Drawn four of their five home Premier League matches; more than any other club, and unbeaten in nine league outings at Anfield. Won four and drawn five since the 0-1 reverse to Manchester United on 3 March; their only defeat in 40 home league games since October 2005. 1. Not achieved successive league victories since beating Sheffield United (h) and Newcastle (a) on 26 August and 9 September 2006. 2. Averaging a point a game so far this season (12 in 12). 3. The 3-1 victory over Reading last Saturday ended a nine-match winless league sequence. 4. Picked up only two Premier League wins so far; home to Bolton and Reading. 5. Lost the lead seven times in league matches this season and beaten in an unequalled three games in which they held the lead. Dropped 15 Premier League points from winning positions, but this is now not the worst record this season; Spurs have failed to hang on to 16 points from matches in which they were winning. 6. Used more players in Premier League competition this season than any other club; fielded 26. 7. Been shown three red cards in Premier League matches this season; more than any other club. 8. Lost 12 of the last 15 Premier League journeys to the north-west, but gained two points from the last three trips. Their only maximum in the 15 league trips to the region was 1-2 v Manchester City on 29 April 2006. 9. One of eight clubs still searching for a first away win in the Premier League. 10. On the longest current streak of 22 matches without an away victory in the Premier League, picking up 11 points from a possible 66 since the 1-2 defeat of Newcastle at St James' Park on 9 September last year. Drawn the last three on the road; 1-1 at Wigan, 0-0 at Chelsea and 1-1 at Sunderland. Fernando TORRES is Liverpool's top scorer with seven goals, and top Premier League marksman, with four. Goalkeeper Jose REINA is the only remaining player to have been on the field for every minute of every one of Liverpool's Premier League matches this season. Benitez has not named an unchanged starting 11 since 31 October last year (v Bordeaux), and has only done so once in the last 159 matches. 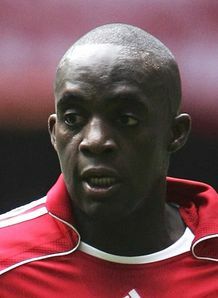 Mohamed SISSOKO will be making his 50th Premier League appearance in Liverpool colours. Steve FINNAN will be facing a former club. The 31 year old Republic of Ireland international made 207 appearances (172 in the league) and scored seven goals (six league) between November 1998 and his £3.5m move to Liverpool in July 2003. Dirk KUYT will be making his 50th start in a Liverpool shirt. Clint DEMPSEY and David HEALY are Fulham's joint top scorers with four goals each; only DEMPSEY'S are all Premier League goals. Fulham boast five players to have figured in at least a part of every one of their Premier League games this season; that's more than any other club (Simon DAVIES, Steven DAVIS, DEMPSEY, HEALY and Diomansy KAMARA). Shefki KUQI will be playing on his 31st birthday. Danny MURPHY will be facing a former club. The 30 year old loanee made 249 appearances (170 in the league) and scored 44 goals (25 league) for Liverpool between July 1997 and his move to Charlton in August 2004. Liverpool have not been short of goals in winning the last three home Premier League fixtures with Fulham, netting three, five and four goals respectively. Ten different scorers netted 11 of those 12 goals, and one was an own goal. The Cottagers lost 10-0 at Anfield in the League Cup 21 years ago. 0 Comments Published by KL Ocs Kid on at 2:54 PM. 0 Comments Published by KL Ocs Kid on at 2:53 PM. 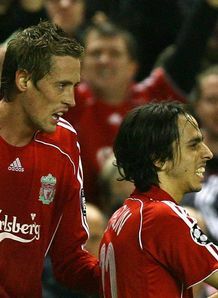 Liverpool's Peter Crouch hopes that Yossi Benayoun can replicate his current club form on the international stage. With England's hopes of qualifying for Euro 2008 no longer in their hands, the country finds themselves relying on Israel picking up a result when they take on Russia later this month. And Crouch is hoping that Benayoun can assist England in securing a place in next summer's finals in Austria and Switzerland. The Israeli winger scored a hat-trick in The Reds' 8-0 UEFA Champions League thumping of Besiktas, and Crouch admits that he and Steven Gerrard are keeping their fingers crossed that he carries his excellent form into the clash on 17th November. "Of course now it would be great to see him make himself a hero to the England fans as well as the Liverpool ones," he said. "Me and Stevie Gerrard have been getting into him; don't worry about that, trying to keep him fresh for the Israel game. We certainly need him to help Israel play well too. Hopefully he will do us a job against Russia. "I was delighted for Yossi because he's a great lad. It was fantastic to see him getting the hat-trick against Besiktas and he was involved in almost everything." 0 Comments Published by KL Ocs Kid on at 2:51 PM. Rafa Benitez has described Tuesday's record-breaking 8-0 win over Besiktas as the 'perfect day' for the under-fire club. Liverpool were on the brink of exiting the UEFA Champions League after a disappointing loss to Besiktas in Turkey but they bounced back in dramatic style to prove to doubters that they still have what it takes. Despite still being unbeaten in domestic competition, Liverpool have been struggling to secure a win in the league which has resulted in further demand for the players and the manager to perform. And perform they did in a goal-fest at Anfield which saw the pressure lift off a relieved Benitez. The result was a great way to celebrate the news of the expected go-ahead from the city planners for the club's revamped £400million new stadium in Stanley Park. "I suppose it is the perfect day," said Benitez of Tuesday night's emphatic win. "It was very positive for the club to put themselves in the record books with eight goals and the biggest ever Champions League win on the day that we could have our new stadium. "To produce a result and a record score on the same day as the stadium is given the go-ahead has made many people very happy. It was almost my perfect day!" Liverpool are by no means through to the last 16 and have yet to face Porto at Anfield on November 28 before travelling to Marseille on December 11, with victories required in both games. "I do not feel the players had on their minds that there was pressure on me and the club," added Benitez. "I feel they only knew they needed to win, and they knew they have succeeded in different matches in the past. "We know our confidence is back. Everybody can now believe we can beat Porto, and then Marseille. "We have re-affirmed our strength in Europe, we can be there and qualify because we have done things like this before." 0 Comments Published by KL Ocs Kid on Wednesday, November 7, 2007 at 11:01 AM. Liverpool boss Rafael Benitez believes his side's 8-0 home thrashing of Besiktas will put fear into their next Champions League opponents Porto. The Reds now need to beat Porto at Anfield and win in Marseille in their final two group games to secure their progress to the knockout stages. 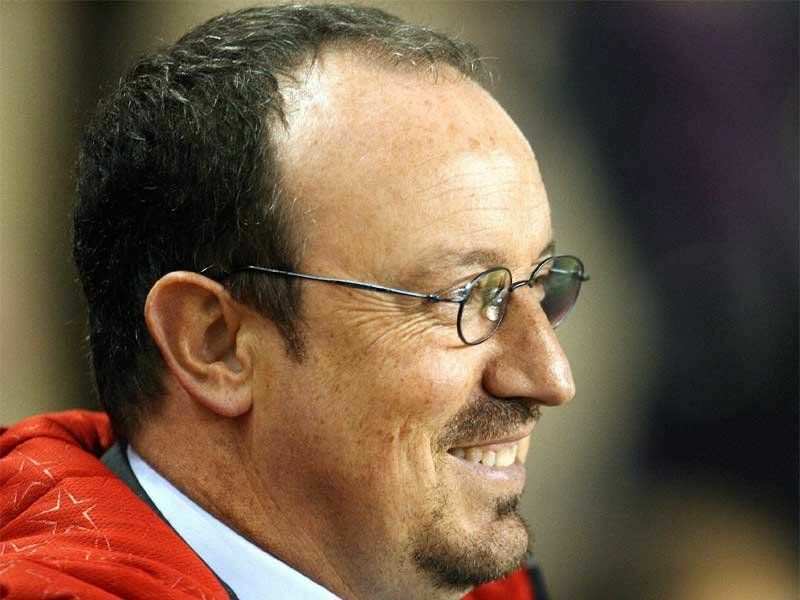 "The next one is against Porto and at least we will have confidence and the supporters will believe," said Benitez. "Porto need to come here to Anfield and they will be worried for sure." He added: "The rest of Europe will also be aware of what we have done. "But in the end we still have to win those last two games, regardless of how many goals we scored this time." What did you make of Liverpool's strikers? Yossi Benayoun notched a hat-trick, Peter Crouch and Ryan Babel each scored twice, while Steven Gerrard also grabbed a goal as Liverpool's victory saw them bag a record Champions League win. 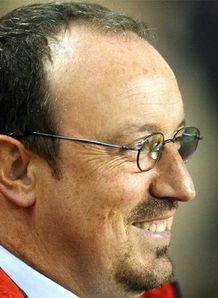 "We have been creating a lot of chances in previous games, but not scoring them," said Benitez. "Today we scored early and the game opened up. Besiktas also had to win to keep their chances of qualifying going so they had to come out and try to attack and that gave our forwards space to use. "It made our movement easier, the space was there and our strikers were on very good form. "But we still must win the next two and then wait to see if it is enough." The win was also Liverpool's biggest in Europe for 27 years and leaves them on four points, with Group A leaders Porto on eight points and Marseille in second on seven points. "When you create chances, score hat-tricks and play that well, it gives all the front players - Yossi, Ryan and Peter, plenty of confidence that they can attack and be successful," said Benitez. "If you score then you have confidence, that is the difference from the way we have played recently. "But this was an all-round performance by the whole team. (Andriy) Voronin did not score but he was hugely influential in what went on, his play was unselfish and effective. "He did a tremendous job, and the defence kept a clean sheet so there was very little for me to complain about, just a few minor things." Besiktas coach Ertugrul Saglam, who did not answer questions at the post-match news conference, was shell-shocked and apologised to the club's fans. "It was a very bad night for our team, and fans," he said. "The result was very upsetting for us and I would like to say sorry to all our fans. "It is very difficult to accept this result, but life does go on and we have to work much harder now to improve in the future. I can promise our fans we will do that." 0 Comments Published by KL Ocs Kid on at 11:00 AM. “The rest of Europe will also be aware of what we have done. “Today we scored early and the game opened up. Besiktas also had to win to keep their chances of qualifying going so they had to come out and try to attack and that gave our forwards space to use. “It made our movement easier, the space was there and our strikers were on very good form. “When you create chances, score hat-tricks and play that well, it gives all the front players - Yossi, Ryan and Peter, plenty of confidence that they can attack and be successful,” said Benitez. “If you score then you have confidence, that is the difference from the way we have played recently. “But this was an all-round performance by the whole team. (Andriy) Voronin did not score but he was hugely influential in what went on, his play was unselfish and effective. “The result was very upsetting for us and I would like to say sorry to all our fans. 0 Comments Published by KL Ocs Kid on at 10:58 AM. Liverpool last night dramatically salvaged a faltering Champions League campaign by crushing Besiktas 8-0 to record the biggest victory in the 15-year history of the competition. The seven-goal record Arsenal equalled against Slavia Prague lasted precisely a fortnight. For a side that had thus far picked up a solitary point in their opening three games in Group A, this was a stunning revival built on a hat-trick by Yossi Benayoun and two goals apiece from the restored Peter Crouch and substitute Ryan Babel. Steven Gerrard may have had to content himself with just the one but it was the most exquisitely worked of the night. The Liverpool manager, Rafael Benitez, acknowledged that Besiktas, who might have conceded many more than eight, provided far less of a test than their two remaining fixtures - at home to group leaders Porto and away to Marseille. "Porto need to come to Anfield and, for sure, they will be worried," said Benitez, whose side still need two further victories to guarantee qualification for the knockout phases. "We need to recognise that Porto are experienced in Europe and they are used to pressure, but we have confidence now." However emphatic the victory, it is not one that dramatically improves Liverpool's position and may even slightly worsen it since Marseille will face a Besiktas side whose confidence will have been shattered by last night's experiences. Should Marseille, who lost 2-1 in Portugal last night, beat Besiktas and Liverpool overcome Porto, Benitez will take his side to Provence next month in third place and needing a win to qualify. Last night's result will, however, give them an edge if it comes to goal difference. Benitez argued that this was a thrashing that had been building for some time. "We have shown recently that we've been playing better but we simply couldn't score," Benitez said. 0 Comments Published by KL Ocs Kid on at 10:54 AM. 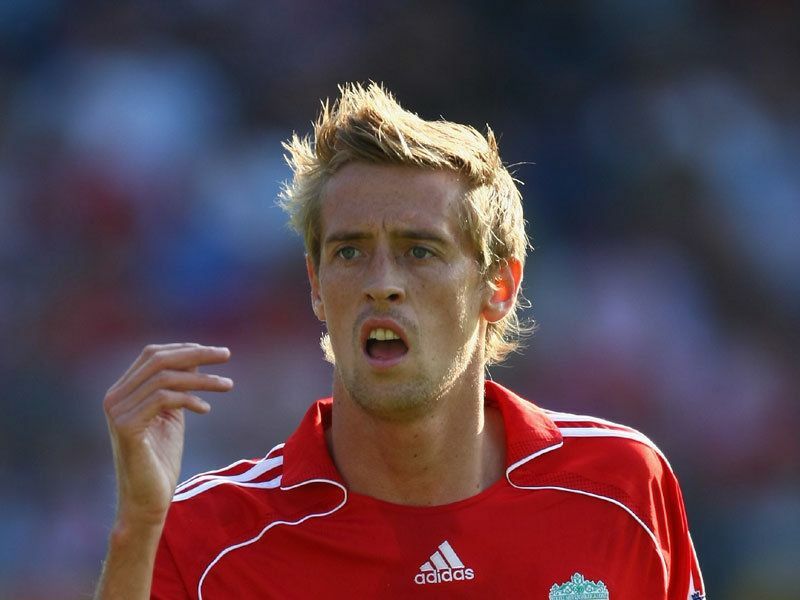 Peter Crouch disappeared under a pile of bodies, perhaps consumed by mixed emotions. Having put Liverpool ahead in last night's must-win Champions League tussle with Besiktas and, having capped a sensational team effort with the eighth goal, his obvious delight might not only have been tinged with a sense of relief, having played so little football over the last few months, but also with a hint of sadness. Might Crouch be leaving all this behind in January? Might he be saying goodbye to this grand old arena and to the famous Kop that still sings his name? In short, might he be forced to leave Anfield after seemingly failing to convince his manager that he can still do a job on a regular basis? After all, nobody wants to be sitting on the bench all the time, even if it is at England's most successful club. On this occasion, however, Rafael Benitez decided that the time was right to give his unhappy centre-forward a rare start, on a night when the team simply had to win to have a chance of remaining at Europe's top table. Actually, I wonder how that felt - getting the nod for such a crucial match while knowing, deep down, that your manager isn't too fussed; that three other strikers now stand ahead in the pecking order, when last season you could do little wrong. Benitez, however, has always known that Crouch could create a different set of problems to the other cards in his pack, especially on a night when a more direct style seemed the best way, initially, to disturb the composure of vulnerable Turkish visitors. As a result, Benitez dispensed with the services of Dirk Kuyt, who had been enduring a tough time in front of goal anyway. And with Fernando Torres not quite ready to play from the start after returning from injury, the Spanish coach turned to his 6ft 7in centre-forward to help the team out of this sticky situation. And help out Crouch did with that precious opening goal, a testament to the big man's persistence, determination and cool head at the end. Latching on to a half-hearted interception by Edouard Cisse, Crouch's first effort cannoned off the goalkeeper but he gamely kept going to slot home the rebound. Cue the celebration, a joyous run and dive down by the corner flag. Crouch's team-mates looked genuinely pleased to see the change of fortune. That first cut, what's more, would prove the deepest, for Besiktas never recovered from that moment on. Just over an hour later, Crouch jumped unchallenged to set the scoring record. In fairness, Crouch could have kicked off the deluge earlier than he did. Meeting John Arne Riise's whipped cross inside the first 10 minutes, his downward header thumped into the advertising hoardings instead of bulging the net. Then, for some reason, he tried to get his head to Andrei Voronin's low cutback instead of sticking out one of his long legs. Such misjudgments on another night might have proved costly. Not this time. Crouch had happened on a match when everything went right. You might say that the 26-year-old stood in the shop window, if it is indeed true that Benitez wants rid. They say, after all, that the pair have fallen out, that the manager doesn't approve of the player's so-called celebrity lifestyle. Model girlfriend, autobiography, personal appearances - perhaps Benitez thinks his man has taken his eye off the ball. If so, quite a few Premier League clubs will be waiting with Aston Villa thought to beheading the queue. Martin O'Neill is known to like that type of player and, come January, the Irishman could confirm his admiration with an attractive offer. For now, however, Crouch could still play a big part in Liverpool's efforts to qualify from Group A. ''He's big, he's red, his feet stick out the bed." The Kop's tribute to their hero can still be heard. For how much longer, only Benitez can say. 0 Comments Published by KL Ocs Kid on at 5:34 PM. 0 Comments Published by KL Ocs Kid on at 5:32 PM. 0 Comments Published by KL Ocs Kid on at 5:31 PM. 0 Comments Published by KL Ocs Kid on at 5:29 PM. 0 Comments Published by KL Ocs Kid on at 5:28 PM. 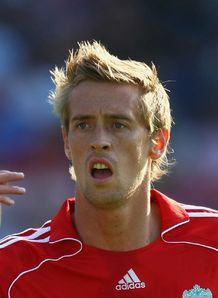 Liverpool boss Rafa Benitez has warned Peter Crouch he might have to get used to playing a bit-part role this season. Crouch was again restricted to a late substitute appearance during Saturday's goalless draw with Blackburn, despite the absence of Fernando Torres through injury. The 26-year-old impressed during his cameo appearance at Ewood Park and came closest to breaking the deadlock when he saw his header nodded off the line by David Bentley. The England international has only started one league game this term and Benitez has hinted that Crouch could be better used as a substitute. "Is Crouch better as an impact player? He could be. Some players are like that," noted Benitez. "Against Blackburn, Harry couldn't play from the beginning. Yet when he came on, his impact was very important for us. And Crouch was the same. "Sometimes when players play 20 minutes or half an hour, they are more important for the team. "Has Crouch been poor when he has started? I cannot say that. Maybe if he had played from the beginning, it would have been different. "We knew Blackburn were really dangerous in the middle. But when they were tired, we had more chances." 0 Comments Published by KL Ocs Kid on at 5:26 PM. Liverpool boss Rafael Benitez has defended Dirk Kuyt, insisting the striker cannot be criticised because "his work rate is fantastic". The Holland international could easily have had a second-half hat-trick in Saturday's goalless draw at Blackburn. His current lack of energy was summed up two minutes from time when he blazed over from six yards with just former Reds goalkeeper Brad Friedel to beat. The 27-year-old scored 14 times last season after his transfer from Feyenoord in August 2006, but has struggled this term in front of goal. And although his work-rate remains among the best in the Premier League, Kuyt's touch appears to have deserted him. He has only managed to score three goals in 13 matches this campaign with two being penalties against Everton. However, with record signing Fernando Torres expected to be out for at least another couple of weeks with a torn adductor and Peter Crouch out of favour, Benitez has little option but to persist with Kuyt. "When you miss chances and you have two or three, it means you are there. If you are not there, you cannot miss the chance," said the Spaniard. "I will not criticise Kuyt because he plays a lot of games and over 90 minutes his work rate is fantastic. "He is creating chances. When you have a player who can create three or four chances for himself, normally sometimes he will score so I think I must be pleased and positive with Kuyt. "We need to profit from the work he is doing up front and it will be easier for him to score if his team-mates can score the first goal." 0 Comments Published by KL Ocs Kid on at 5:23 PM. I'll be at Anfield on Tuesday to see Liverpool against Besiktas in the Champions League and I have to say I don't like the look of my old team's situation at the moment. They have to try to win their three remaining matches in the group to go through and if they do that, they could even finish top. Will they? I don't know. Two of those games may be at home but they won't be easy. After Besiktas comes Porto and they are a really good team. But then Liverpool and Rafa Benitez have found themselves in difficult situations before and still managed to come through, so I am hoping they do so again. Nothing could have seemed less likely than Liverpool's comeback in the 2005 final against AC Milan, but look what happened that night in Istanbul. We were 3-0 down at half-time and you can imagine the mood in the dressing room. We were deflated and shocked. If any of the players had said they thought we could turn it around, I don't think they would have been telling the truth. You always hope in football, but the way the first half went, nobody could have believed we could do it. I certainly didn't see it changing. Watching Milan in the first 45 minutes was like watching Brazil at their best. The passing and movement couldn't have been bettered. What made the difference in the second half? A bit of everything. They took their foot off the gas but then you can't keep up that level for 90 minutes and, of course, Steven Gerrard scored, the fans got behind us and we started believing. Some people credit me for changing it when I came on for the second half, but I wouldn't go that far. I just played my game and tried to help the team as I always did. I felt that, if we got a second, it would be game on and so it proved. We scored a third and eventually won on penalties. It has also been said that had I been on from the start we wouldn't have had to come from behind. I certainly expected to play from the start but if I had started, we may also have lost and this would not have been talked about. What you have to say is that the manager made the right decisions because, in the end, we did win. When it came to extra-time and then penalties we were the happier team because they thought they had won it already — as did everybody else. For us it was a bonus because we should have been sitting on the coach, driving away from the stadium with our heads down. Everybody in our team could feel we had a golden opportunity. I could see it on the players' faces. There was not much talking, but we all knew that, if we didn't do it then, we may never do it. The manager asked me if I wanted to take one of the penalties and I said yes. He then told me to take the first one. I scored and we went on to take the trophy. It was the most amazing night of my career and in a game of that importance, I doubt you will ever see anything like it again. 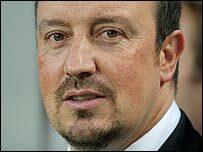 You could say it was a fluke and that Rafa is a lucky manager, but you have got to work hard and graft for your luck. If you look at his record, you will see it's not the only time he's pulled off a remarkable turnaround. It was a similar story in the FA Cup final against West Ham the following year. Yes, you need luck at times, but I wouldn't put it all down to luck. Rafa is a very hard-working manager who knows a lot about the game. It helps, of course, when you have a player of Gerrard's capabilities. He scored the late equaliser in the FA Cup final and is an inspiration. He can make things happen and not many players have his pace and dynamism. He can make a goal from anywhere and score a goal from anywhere. Only one or two around Europe have his quality. But he was taken off at Everton recently, which surprised a lot of people at the time. Then what happened? Liverpool won right at the end. So again the manager's decision produced the right result. The team is always bigger than one player and, hard as it was for Stevie to come off in a derby, they got the win. Gerrard has made it clear he prefers to play in central midfield rather than on the right, which he sometimes does for Rafa. But I've told Stevie I think he is sometimes more valuable on the right because he has not got any defensive responsibilities. If he's running back 40 yards to chase people down, he is wasted. Other people can do that. He could be using his energy going forward because that's when he is dangerous. At Liverpool we didn't have anybody else with that ability and with England it's pretty much the same. Liverpool may have difficulty progressing in the Champions League this time, but I think England have every chance of having a team in the final again. Chelsea, Arsenal and Manchester United could all win their groups and I sense that this is the trophy Chelsea want above all. If the past doesn't come back to haunt them, I wouldn't bet against them. I have never seen them play football as they played against Manchester City last week. As Liverpool and United before them have proved, English clubs have a never-say-die attitude that European clubs fear and respect. German clubs never like to be drawn against English teams. Despite that result at Stamford Bridge, we at City have to be happy with our start under Sven-Goran Eriksson. He has created a very good atmosphere and mood in the camp. There's great respect for everybody, from the kit man to the manager. Every manager has his own ways and Sven is calm and quiet. That helps the players. We have come from behind a number of times which I don't think we did last season. We hadn't got the same quality last year, but now we do not panic. His character rubs off on the players. We don't get too excited when things go well. He doesn't shout or rant on the touchline, but then there is only so much you can do from the touchline. If you are well-prepared, you should be able to sit down and let the boys get on with it. Sven's club record is fantastic but also his record for England was good. In the big tournaments, he lost against Brazil to a freak goal by Ronaldhino from 40 yards and lost on penalties twice, so I think the press have been a bit hard.